You could say that York was my first ever ‘solo’ trip – it was the first place I ever visited without my parents on a school trip when I was 10. Since then I’ve been back again and again, and have found different things to love with each visit. With influences from the Romans, Vikings, Normans, Tudors and Victorians, York is a snapshot of British history in one city. 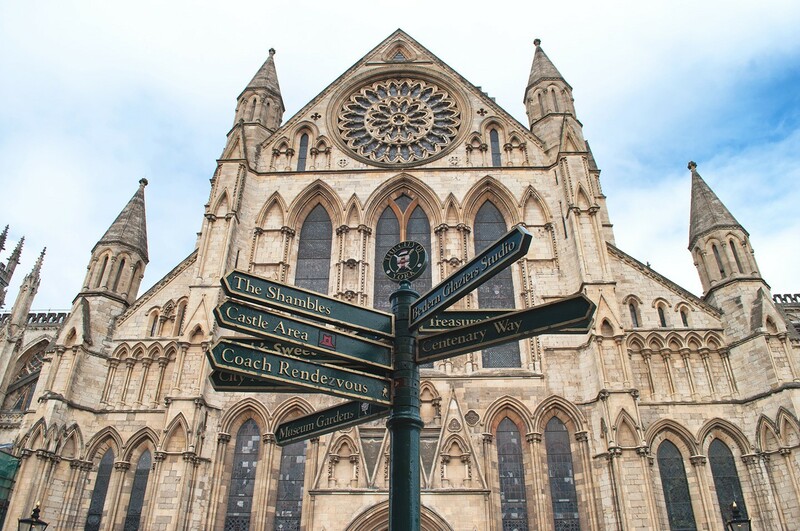 But there’s a lot more to York besides its history – cobbled lanes, over 30 museums and attractions, interesting little shops, tea rooms and cosy pubs. All of which help make it one of my favourite UK city break destinations. So here’s my 48-hour itinerary for the perfect weekend in York. Check in to Marmadukes Town House Hotel, a Victorian townhouse in the leafy area of Bootham, about 10 minutes’ walk from the centre of York. This former gentleman’s residence turned hotel is full of character with antique furniture, and some of the 21 bedrooms come with four-poster beds and roll-top baths. It’s all very dimly lit and romantic, with a bar and couple of cosy lounges downstairs. Standard double rooms start from £79 a night. You don’t need to go far for dinner as the hotel’s Park Restaurant is one of the best in York. Their seven-course tasting menu (£65 per person without wine) is served over a few hours and portions aren’t huge so you don’t end up stuffed. You’re left in the capable hands of chef Adam Jackson – though they’re happy to work around dietary restrictions – and the staff talk you through each course, which includes seasonal local produce like scallops and venison. You can’t miss the Cathedral and Metropolitical Church of Saint Peter in York – better known as York Minster – as it towers over the city (entry £11 for adults, £9 seniors/students and free for children under 16 or with a York Pass). It’s one of the largest Gothic cathedrals in Europe. But it’s known as a Minster as that was the title given to churches which were also monasteries. Explore the building’s history in the undercroft and its stunning stained-glass windows above ground. And if you’re travelling with a partner stop for a kiss by the Heart of Yorkshire stained-glass window, as legend says if you do you’ll stay together forever. You can also climb up the 275 steps to the top of the bell tower for panoramic views across Yorkshire (£5 extra). 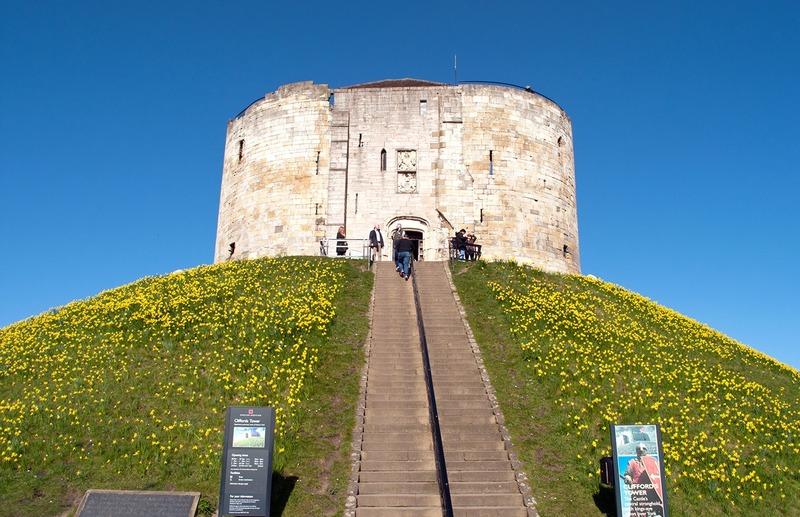 Next head to one of my favourite museums – York Castle Museum (£10 adults, free for children under 16 or with a York Pass). The actual castle is long gone but instead the former prison buildings on the site have been converted into a museum. 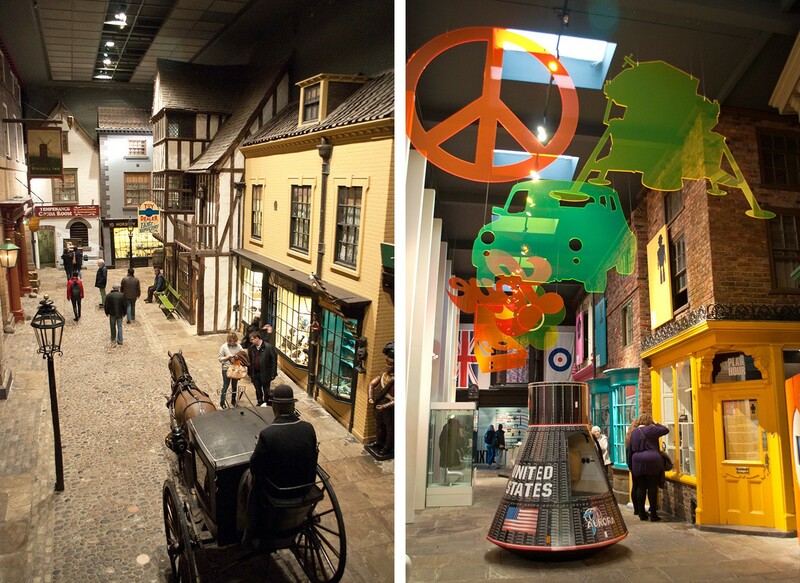 There’s a real weird and wonderful mixture of exhibits in the museum, with a recreated Victorian Street, stories of past prisoners in the old cells and galleries dedicated to toys, the 1960s and the First World War. 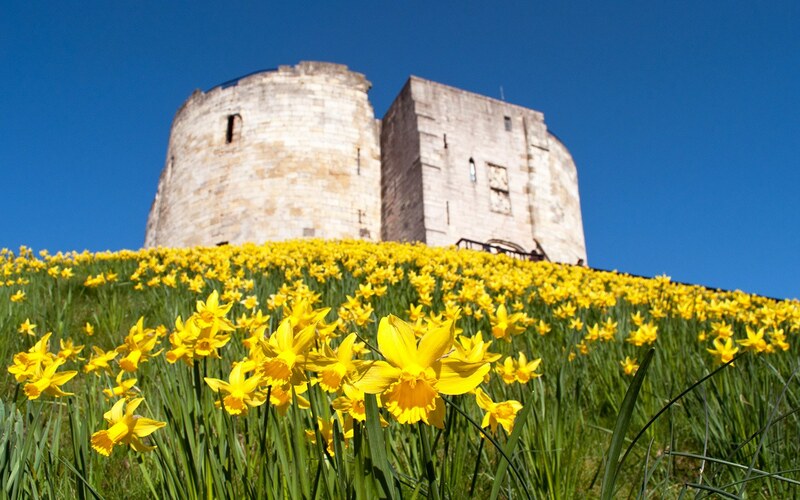 If you have time call in at Clifford’s Tower next door (£5.40 adults, £4.90 concessions, £3.20 children 5–17 or free with a York Pass). The tower is all that’s left of the 13th century castle and is built on the site of William the Conqueror’s original castle. It’s especially pretty in spring when the hill is covered in hoards of daffodils. Then stop for lunch at the Shambles Kitchen, a café famous for its pulled-pork sandwiches in the Shambles, York’s most photographed street with overhanging timber-framed buildings that date back as far as the 14th century. 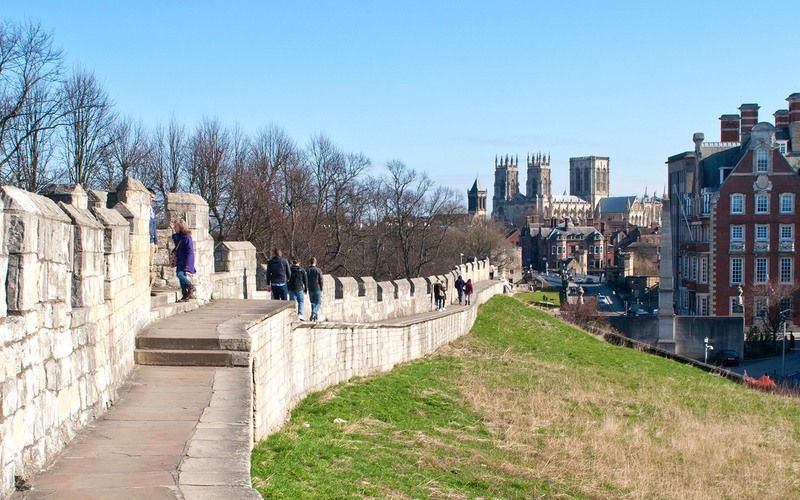 York is surrounded by the remains of its Roman city walls, with just over two miles of them still standing along with some of the original gateways, which are known as bars. Walking around them is a great way to get your bearings and discover tucked-away buildings and gardens. Head to the north for great views of the Minster and Treasurer’s House. Or beer fans head south past the train station to York Brewery, the only brewery within the city walls. You can take a tour to learn about how their beer is made and try out four of their brews (tours at 12.30pm, 2pm, 3.30pm and 5pm, £8 adults or £6 concessions). 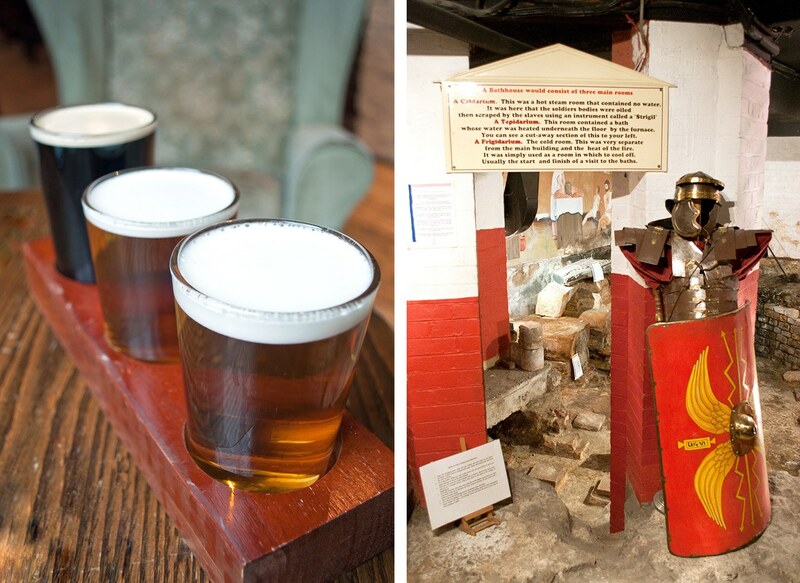 Pop in for a pre-dinner drink at the Roman Bath, the only pub with a genuine Roman bathhouse in its basement. 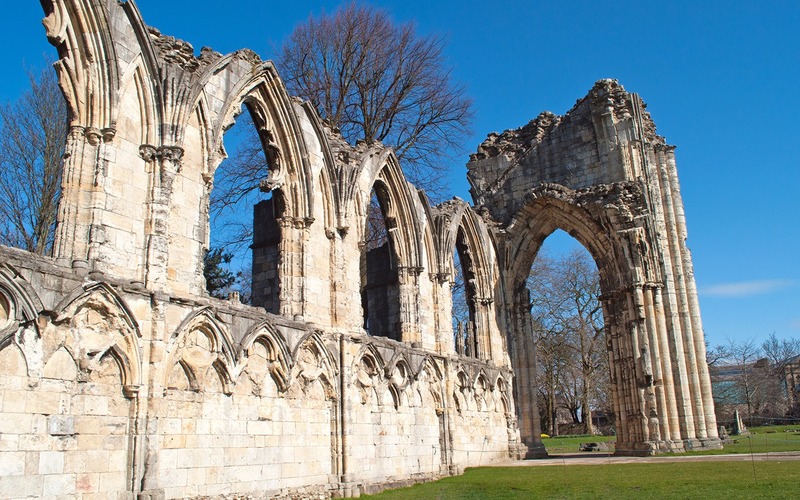 The ruins were uncovered when the pub was renovated in the 1930s and you can go down to see the Roman caldarium (hot room) and learn more about the days when York was known as Eboracum (entry costs £3.50 adults, £2 children or is free with a York Pass). 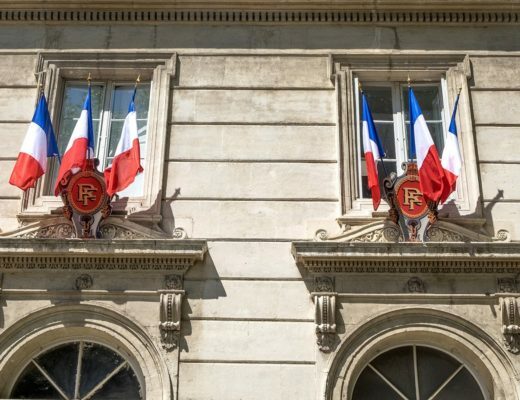 Then have an early dinner at Rustique, a French bistro with branches in Castelgate and Lendal which serves traditional dishes like confit de canard, moules marinières and crème brûlée. York is reputed to be Europe’s most haunted city, and you can learn about the city’s spooky side on a guided walking tour. There are a lot of companies which run ghost tours, but slightly different is the Bloody Tour of York. Clad in Victorian dress, guide Mad Alice leads you through the twists and turns of the city’s medieval streets and snickleways (aka its hidden passageways), with 90 minutes of gruesome stories of torture, blood and gore taken from the city’s colourful history (departs 8pm from St William’s College by the Minster, £7 adults, £4 under-15s). Don’t fill up too much at breakfast as you’ll need some room for the tasting samples at the Chocolate Story (£12.50 adults, £11.50 seniors/students, £10 children aged 4–15 or free with a York Pass). The 90-minute guided tour takes you through the history of chocolate as well as the story of York’s famous sweet-making families – Terry’s, Craven’s and Rowntree’s. There’s lots of excellent chocolate trivia (did you know Terry’s originally made a chocolate lemon and a chocolate apple as well as a chocolate orange?) and the chance to try your hand at creating a chocolate lolly. Don’t miss the hot chocolate at the museum café afterwards, whether you’re more dark chocolate and chilli or white chocolate with marshmallows. Work off your sugar coma with a walk down to the River Ouse for a boat trip from King’s Staith Landing or Lendal Bridge (daily at 12pm and 1.30pm with extra sailings in summer, £9.50 adults and £5.50 for children). A 45-minute trip takes you up and down the river with lots of facts about the city’s history. Or if you want to explore the river on your own, you can hire mini red motorboats in summer which seat up to eight (£25–£40 per hour, available April–October). Finally head to York’s National Railway Museum. The world’s largest railway museum shows off the city’s long railway history in a huge train shed near York railway station (free entry). The museum has around 100 trains on display, with everything from Queen Victoria’s Royal Train and the world speed record-holding Mallard to an original Eurostar train and the only Japanese Shinkansen bullet train on display anywhere outside of Japan. Then finish your weekend with an afternoon tea. Betty’s Café might be York’s most famous tea spot (with the queues to match), but for a truly classy afternoon tea experience visit the Countess of York. In its previous lives this train carriage transported cider in Hereford and was part of the luxurious Orient Express Northern Belle. Now it takes you back to 19th century teatime with a selection of sandwiches, tarts and cakes served on bone china with white linen and silver cutlery (tea served at 12pm, 2pm and 4pm, £23.50 per person). Have you visited York? Do you have any tips to add on what to see, do and eat? Thanks to Visit York, Marmadukes Town House Hotel and Cross Country Trains for hosting me. This article contains affiliate links, where I get a small commission at no extra cost to you. Some lovely pics of a city I know well from my uni days. There are some great pubs there – my favourites are the King’s Arms, Lendal Cellars and The Grapes. You’ve just about inspired me to pop back up there for a weekend break. It’s such a lovely city, one of those places that I could imagine myself living. Thanks for the pub tips – my cousin moved to Yorkshire last year so I suspect there will be lots more visits on the cards. 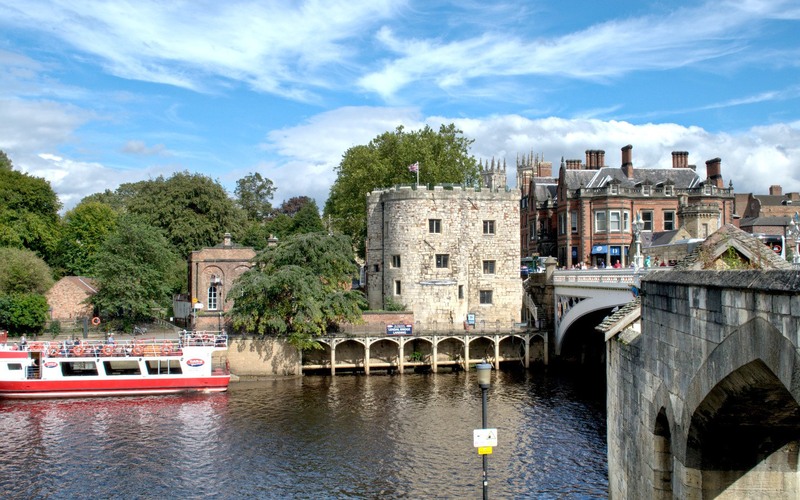 York is a fabulous city to visit – so much to see and do. I really enjoyed the National Railway Museum on our visit. The Railway Museum is great! I’d like to go and see the Cold War Bunker next time, we didn’t quite manage to squeeze that in. All good things to know. I’ll be there in October. The York Pass looks like it might have some value. Hope you enjoy your trip! Those city passes can be a bit hit and miss but this one was actually really useful. Thanks, it’s a great city, hope you enjoy it! How lovely! The restaurant was great and the Minster would be an amazing photo backdrop. There are a few things closed after the floods at the moment but hopefully not for too long. I do love York – one of the few cities I can imagine living in apart from London. And the ghost tour is great. I have rather fond memories of visiting the Jorvik Centre when I was young and definitely fancy taking my daughter back when she’s older. I said the same thing that it’s somewhere I could imagine living! Missed the Jorvik Centre this time as it’s closed for repair after the flooding but one for the next trip. It is a lovely place – hope you get to visit one day! This is a lovely post about York and I love your photographs! I’ve visited York many times being that I’m from Manchester originally Ho! Ho! However, I haven’t been to York since I moved to Germany and that’s saying something lol! I’m on their mailing list and everytime that I think of going, somewhere else beckons instead. However, if I go to the UK this year (and I will), I’ll make it my mission to visit York once again! Thanks, we did get lucky with a gorgeous sunny spring day! 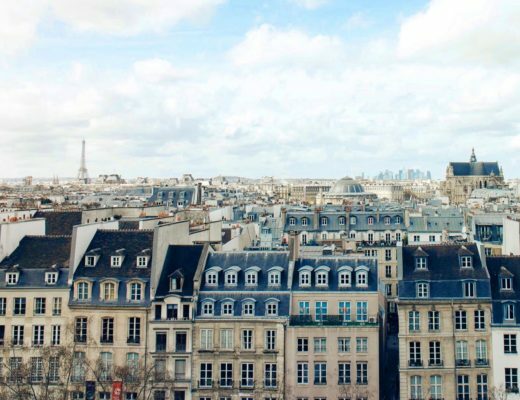 It’s a great city – I’m already planning to go back and see the other things I missed. Great guide Luce! I think York has to be one of the best city breaks in the UK. 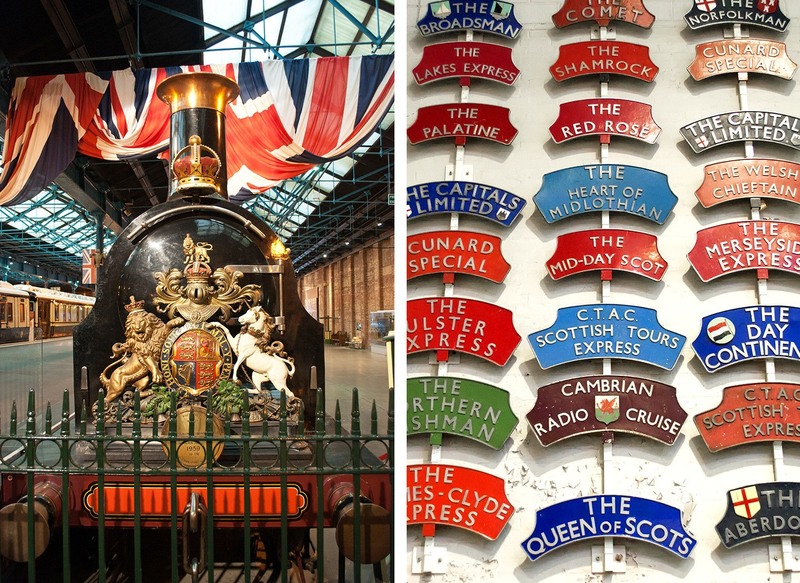 Glad the Railway Museum got a mention – dragged my parents there plenty of times as a kid! Thanks John, it’s a fab city – I’ll be back soon for sure (and loved the Railway Museum!). Oh lovely! My aunt and uncle live in Yorkshire and I somehow missed York on my last visit. Next time! It’s a great place, hope you get to visit next time! Great post. I’ve literally just added mine about York as well. You seem to have got blessed with a much sunnier weekend than we did though. I’m a fan of fossgate but I still like to visit new places each time i go back. You always take a chance with the weather in England in spring (or anytime of year to be honest!) – we did get a beautiful day though in amongst the clouds. Love York, so much to see up there. 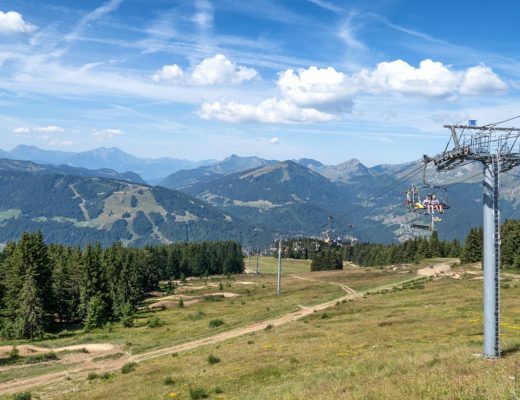 Sounds lovely – one to look out for for a future visit. 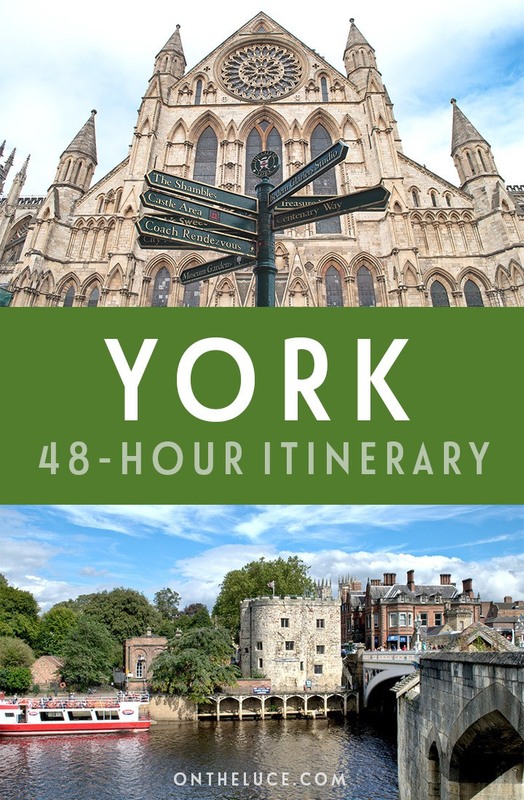 I’ll be spending just a day in York this weekend and this post has been super helpful in planning my trip! Absolutely gorgeous photos too, can’t wait to see these places for myself! 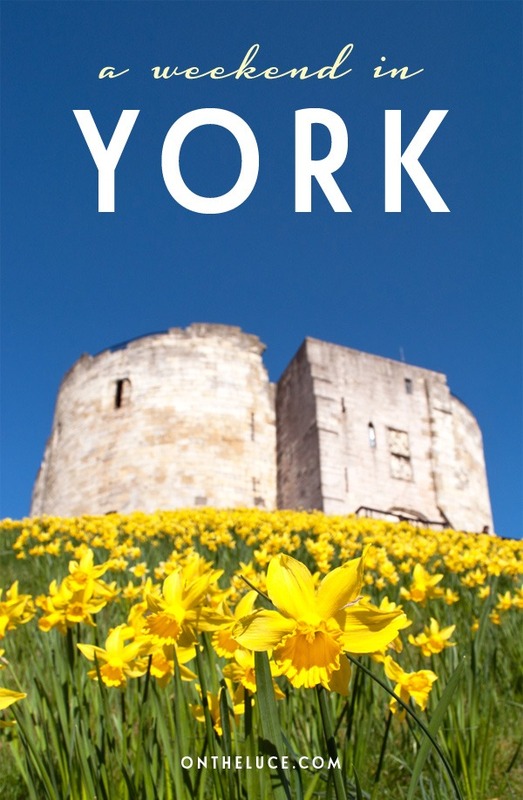 Hope you have a great trip, York’s a great city – so much to see too! So much to see in York, I’m due another trip soon. Though I didn’t know about the Ice Sculptures so there’s yet another thing to add to the list! Betty’s cakes are lovely but the queues are always huge! The Countess is definitely a good option if you want to avoid them. Hi Steven, the Railway Museum is free – and there are lots of other things like walking the city walls, The Shambles and the Yorkshire Museum Gardens which are free. The York Pass is a good idea if you want to do a lot of the museums and attractions too. Have a great trip! Such a beautiful city. I lived there for around four years. How lovely – it’s one of my favourite spots in the UK!